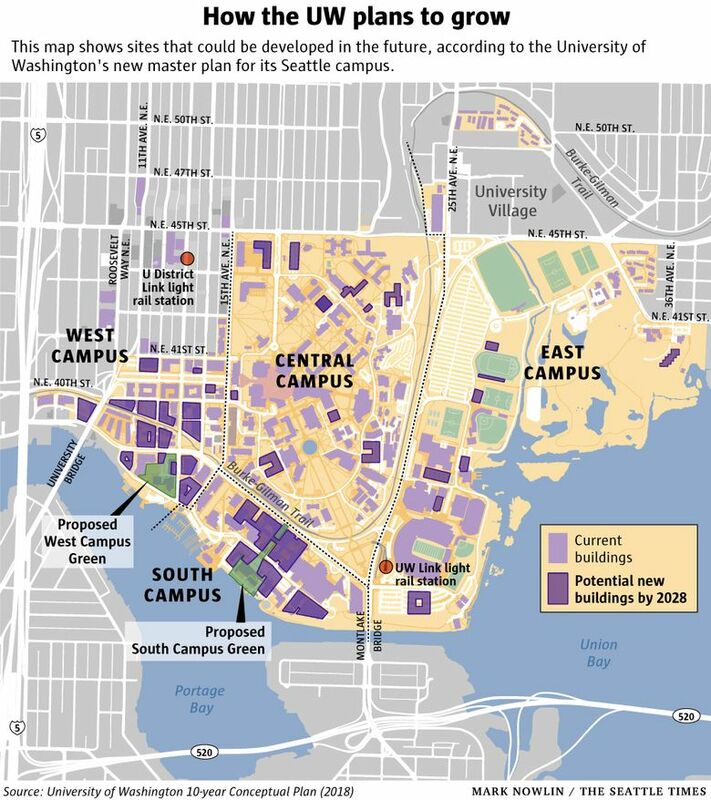 Amendments to the plan include requirements that the UW set a more aggressive goal for reducing car commutes and build at least 450 housing units for its lower-wage employees. But the land-use committee tacked on a number of conditions, including requirements that the UW set a more aggressive goal for reducing car commutes and build at least 450 housing units for its lower-wage employees. The university needs the council to sign off on its master plan, which calls for the campus to swell by 6 million square feet of academic, athletic, research and office space over the next 10 years and beyond. 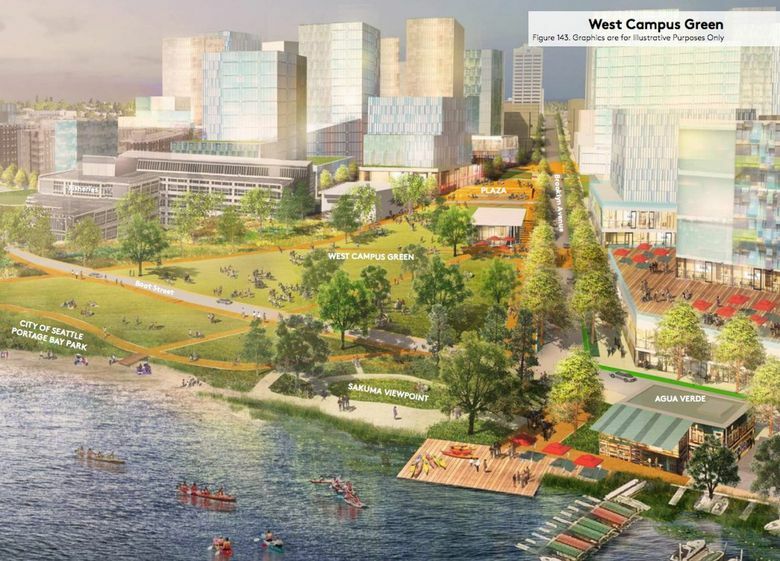 The UW has said the spurt is needed to accommodate another 7,000-plus students and employees and to create the innovation district, where students and researchers would partner on startups with companies, government institutions and nonprofits. At the same time, neighborhood associations, advocacy organizations and unions have warned the council that the growth could make Seattle’s traffic and housing problems worse. Before voting unanimously to advance the university’s plan for consideration at Monday’s full City Council meeting, Councilmembers Rob Johnson, Mike O’Brien and Lisa Herbold made several adjustments. Under their version of the plan, the UW would need to have no more than 12 percent of its students and employees commute by driving alone by 2028. The university had proposed 15 percent. All three council members supported the change, and they further amended the UW’s plan by lowering a campus cap on parking by thousands of stalls. Also under the committee’s version, the UW would need to build 450 units of affordable housing for its lower-wage employees. The university has volunteered to build 150 units while saying the city lacks the authority to impose a housing requirement. Johnson opposed the change, citing legal concerns and mentioning that the city doesn’t build housing expressly for its own lower-wage employees. He was outnumbered by O’Brien and Herbold. UW projects are exempt from a Seattle policy that requires private developers in areas such as the University District to build or fund rent-restricted apartments, they noted. Once the plan clears the full council, the UW’s Board of Regents and other parties will get to weigh in. Then the plan will return to the council for final approval. That could happen late this year.